PBO is installing six borehole strainmeters in Yellowstone National Park to aid in understanding ongoing volcanic processes. Two strainmeters were installed in the fall of 2007, another instrument was installed in early July, and three more are being installed in July and August of 2008. Working over a volcanic hotspot has presented new engineering challenges for the PBO crews, as the presence of shallow hot geothermal fluids has made both the drilling and the instrument installation difficult. PBO crews tried to choose locations for the six boreholes in areas that would be cooler and where they would minimize the chance of encounter with hot fluids. Despite careful planning, 67¬∞C fluids were encountered at a depth of 400 ft in one hole, and 91¬∞C at a depth of 206 ft in another. 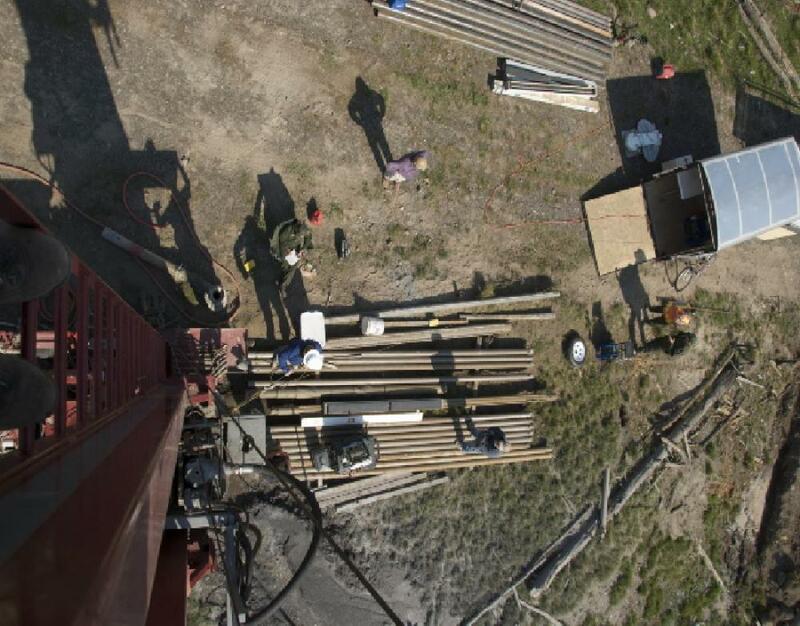 These temperatures are beyond the limitations of the instrumentation, and therefore the Park Geologist assisted the crew in identifying new drilling sites. The higher than anticipated geothermal gradients are themselves a significant scientific finding. PBO has developed safety protocols to deal with unlikely events such as this, and therefore the crew was prepared. The crew has also had to develop new procedures for controlling the grout reaction, the material that binds the instrument to the hole, in these extreme conditions. 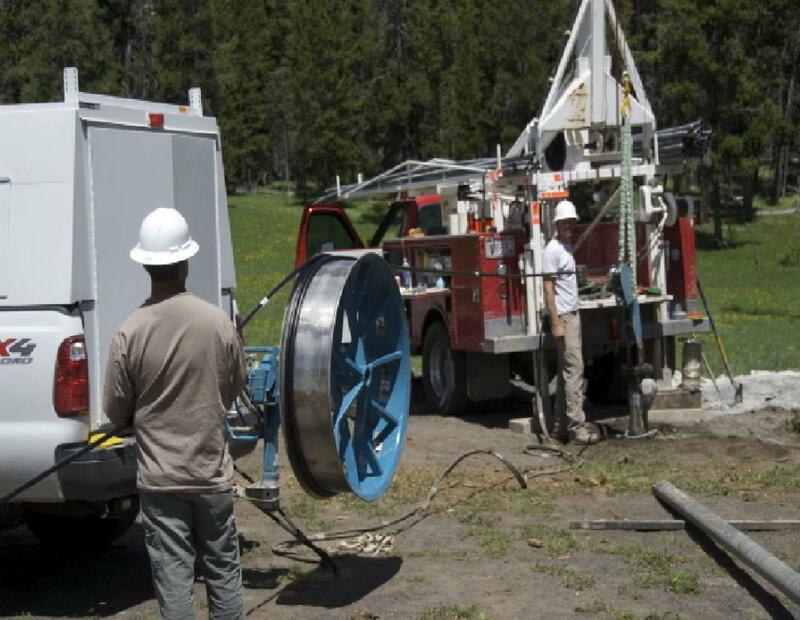 Working in the Yellowstone hotspot is pushing the limits of what the strainmeter PBO crews have encountered in previous holes, but with three of the six instruments successfully installed as of July 8, 2008, all indications are that the Yellowstone strainmeter network will be completed on time.